Quantity: 400PCS Catnip Seeds. 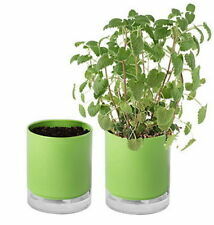 Seeds are to soak for 10 hours,there is conducive to the germination of catnip. 400PCSx Catnip Seeds. 2, remove the seeds, evenly sprinkled on the swelling has the flower mud, then. Barely cover the seeds. Can be sown outdoors in late spring after the ground is warm enough. Germination is slow and sporadic. So be patient, and sow more than your needs, in order to obtain enough seedlings. Pour the seeds into the and soak the seeds in the (the water is covered with the seeds.). cover a layer of plastic wrap with a layer of cling film for about 5 mm, and the seeds will soak in the warm place for about 12 hours. 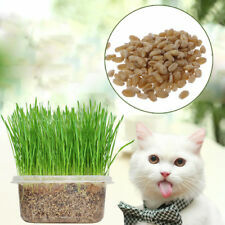 Complete cat grass kit with organic edible Catnip grass seed. Each kit contains everything you need to grow high quality cat grass. This growing kit does not require much of intention; using bottom watering lid which automatiaclly waters seeds with the non-woven fabric.